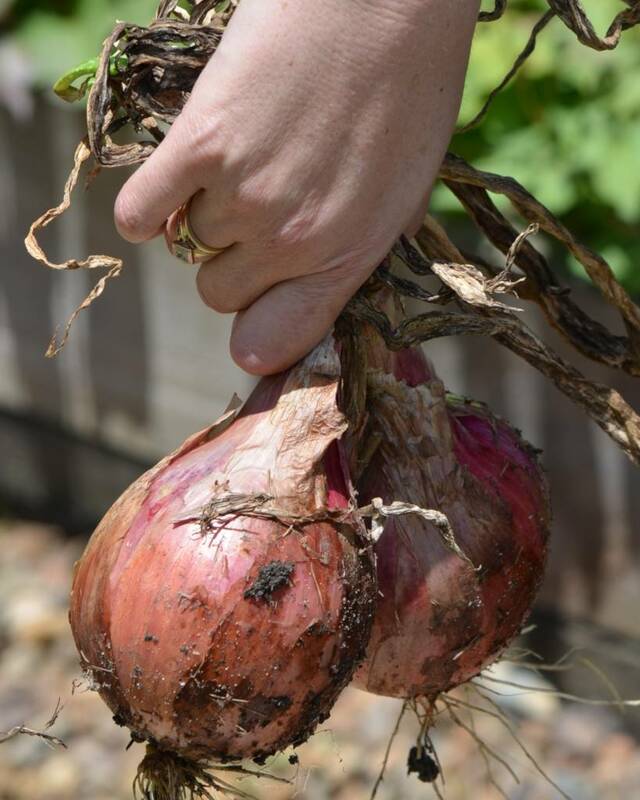 White onion, red onion and yellow onion are ancient bulb plants that are easy to grow. From planting or preparing seedlings all the way to the harvest, you can’t fail in growing them. There are two options for you to start growing onions: sowing from seeds, or planting bulbs. 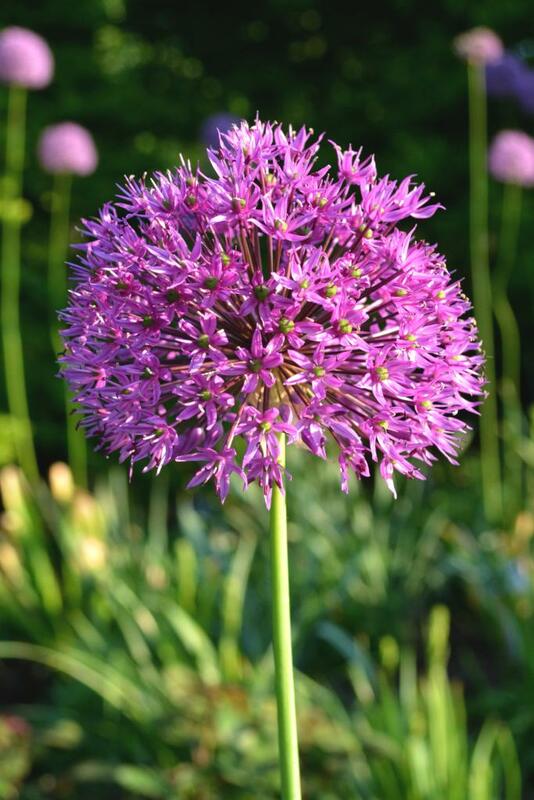 Planting onion bulbs is the most successful of the two, and the simplest to quickly produce beautiful onions. Sow seeds in a nursery at the end of winter until the beginning of spring. Sowing can take place from February to April. White onions can be harvested earlier, usually in May because they must be harvested before reaching full maturity. They can be pulled out whenever needed, or you can wait until they mature. If harvested when mature, you’ll have to cure the onions for a couple days. Pull them out and let them dry in the sun while keeping moisture away. 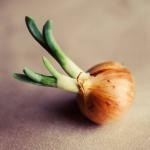 Summer onions are often eaten raw in salads or to spice a marinade. 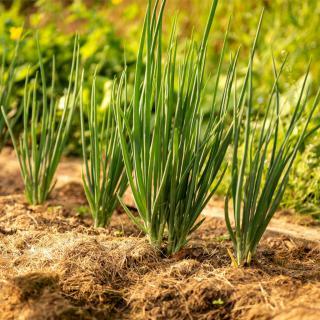 In the case of winter varieties, pull onions out once leaves have yellowed and dried, and, just like the summer varieties, let them cure or dry out in the sun for a few days. Store away from moisture for as long as you wish, in a cool and ventilated spot. Usually yellow onions are the ones most commonly eaten, but onions can also be white or red. The taste differs slightly in each case, red onions being sweeter. This makes red onions perfect for onion jam or salads. White onions are great for preserves. Yellow onions are used in most onion-based dishes. Avoid rich soils, there is no need for any kind of fertilizer. Also take note that yellow onions keep best if you wish to store them for a while.